The Daily Candy Chicago Wedding Guide came this morning. 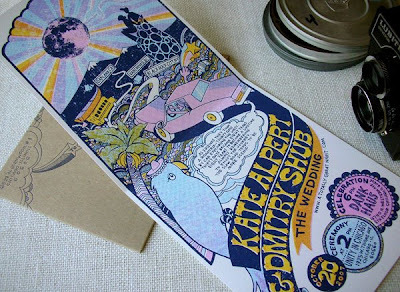 I love the DC wedding guide for it's ability to point out small but fabulous local vendors. 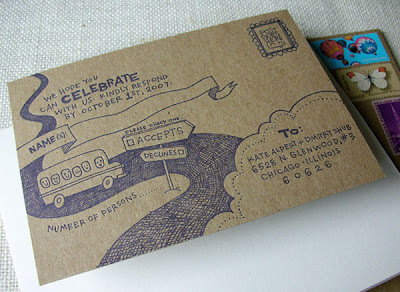 Take, for instance, Chicago invitation designer Anne Benjamin. 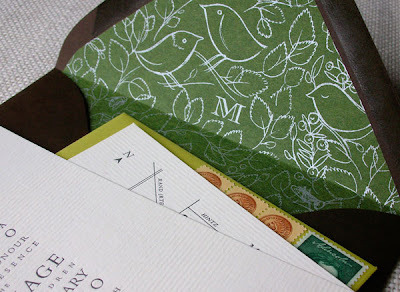 Even her envelopes are cool. I wouldn't want to send this back to the bride and groom! 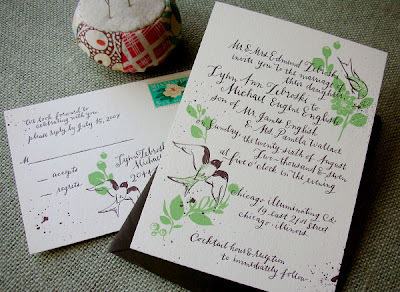 A simple invitation which really highlights the letterpress- And a not so simple liner to surprise the reader. Daily Candy also launched a site entirely dedicated to weddings today. Be sure to check it out! 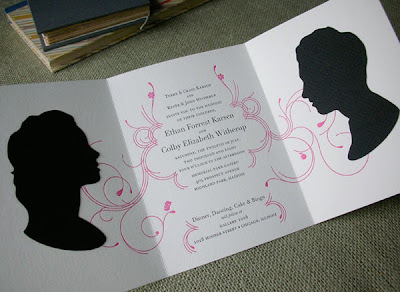 such great examples of unique and fun invites. 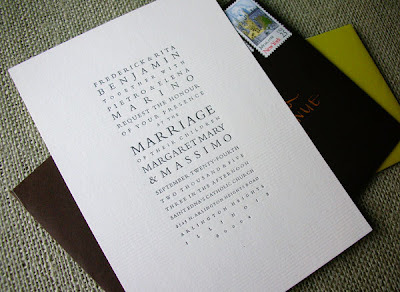 customized wedding postage is a great addition to unique invites like these. 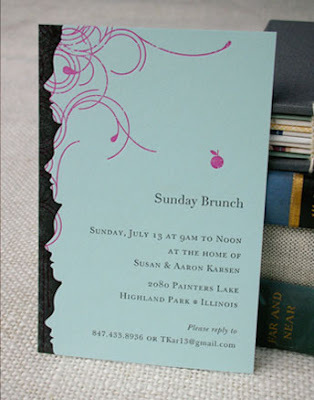 www.weddingstamps.us/suggest-a-stamp has a tool which allows brides to plug in a few details of their wedding (theme, colors, etc) and get personalized postage suggestions. it's very easy and fun!